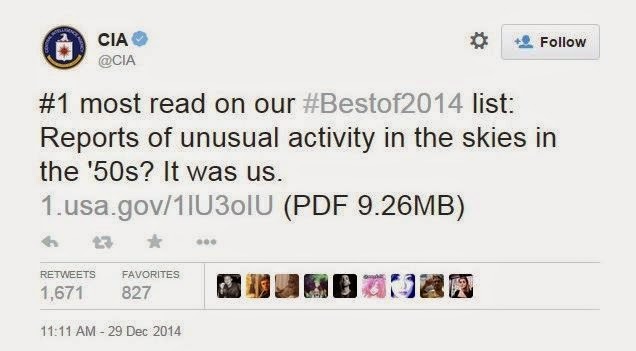 Did CIA U2 flights really cause 50% of UFO Sightings? Once again, the claim has resurfaced that, during the 1950s and 60s, high-altitude CIA manned reconnaissance flights involving the U-2 and the later SR-71 were responsible for half of all UFO sightings. This claim is now all over the internet, and treated in the usual uncritical manner. One thing this CIA UFO claim has accomplished: it has united UFO skeptics and proponents in proclaiming it untrue. We might agree on little else, except that this claim is nonsense. Can that claim be substantiated? Nope. Not only did the airline pilots report their sightings to air-traffic controllers, but they and ground-based observers also wrote letters to the Air Force unit at Wright Air Development Command in Dayton charged with investigating such phenomena. This, in turn, led to the Air Force’s Operation BLUE BOOK. Based at Wright-Patterson, the operation collected all reports of UFO sightings. Air Force investigators then attempted to explain such sightings by linking them to natural phenomena. BLUE BOOK investigators regularly called on the Agency’s Project Staff in Washington to check reported UFO sightings against U-2 flight logs. This enabled the investigators to eliminate the majority of the UFO reports, although they could not reveal to the letter writers the true cause of the UFO sightings. 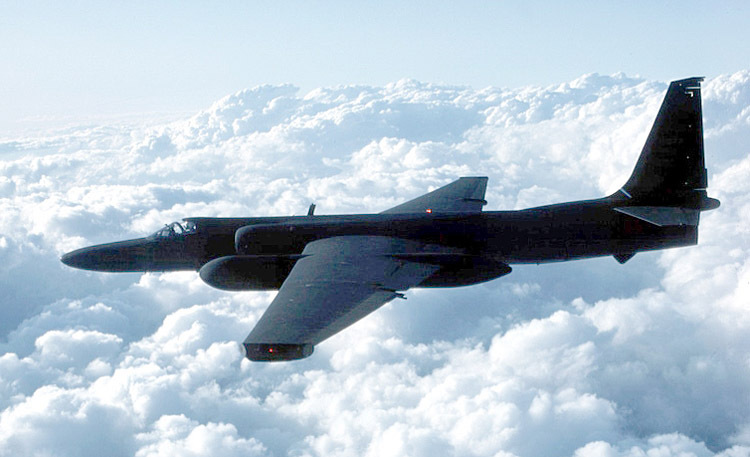 U-2 and later OXCART flights accounted for more than one-half of all UFO reports during the 1950s and 1960s. Mark Rodeghier of CUFOS contacted Lt. Col. (Ret.) Robert Friend, who was the head of Blue Book from about 1958 to early 1963. If anyone should know about this, it is him. "Absolutely not true," he said. Friend "found the whole idea laughable, and he knew Blue Book did not receive more reports from pilots and air traffic controllers after the U-2 began flying." "Once again, he chuckled about the idea of half of all UFO reports being caused by manned reconnaissance flights." 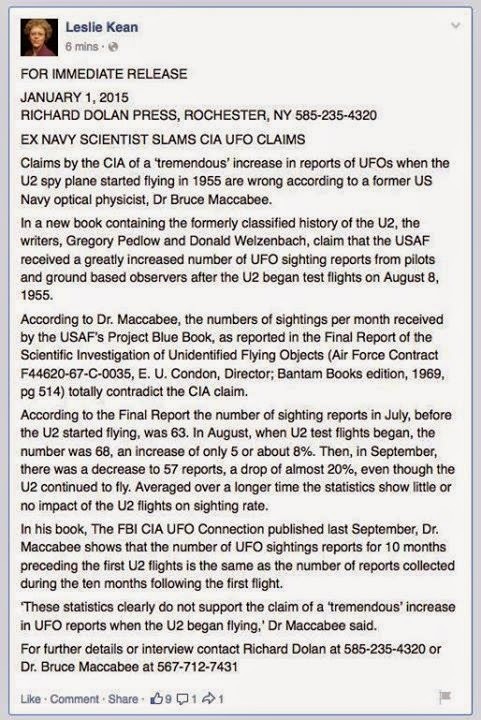 UFO photo analyst Bruce Maccabee says simply that the "CIA's UFO Explanation Is Preposterous." Maccabee is right about this. The Blue Book files are now public records, and anyone can verify when and where sightings were reported. The bottom line is: there is absolutely no correlation between the times and places of UFO reports, and U2 flights. While it is most certain U-2 flights did lead to an increase in UFO reports [I would not even grant that - RS], this did not lead to the creation of the Air Force’s Project Blue Book. Project Blue Book was an official U.S. Air Force investigation of UFOs established in 1951, and was actually the third Air Force project to investigate UFO sightings. The first was Project Sign, set up in 1948, which then became Project Grudge in 1949, and finally Blue Book in 1951. The CIA's claim that the U2 flights led to the creation of Project Blue Book is impossible, because Blue Book predates the U2 flights by several years. Other Air Force projects to investigate "flying saucer" sightings were created several years earlier still. James Cunningham, Jr. An ex-Marine Corps pilot, he became the administrative officer for the U-2 in April 1955. Cunningham handled the day-to-day management of the U-2 program and brought only the more complex problems to Richard Bissell's attention. Later he served as the Deputy Director of the Office of Special Activities and then Special Assistant to the Deputy Director for Science and Technology. In other words, a bureaucrat in the U-2 program. What does he know about the history of UFO reports, and UFO investigations? Nothing, it would seem, except for what he has made up. 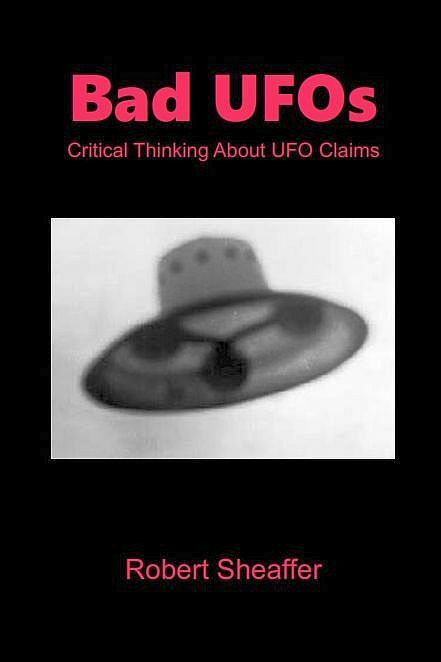 The world of UFOlogy is filled with Boasters who exaggerate (if not fabricate) events to make themselves seem important. The authors of the CIA report seem to have immortalized a groundless boast by a program bureaucrat, and turned it into one of those "facts" that practically everyone has heard, and practically everyone believes, but has no foundation in truth.